Earlier this Fall we acquired a superb example of the first state of Thomas Jefferys’ “Map of the Most Inhabited Part of New England,” published in London on Nov. 29, 1755. The map is eminently desirable for its geographic and political significance, tremendous visual appeal, and extreme rarity. 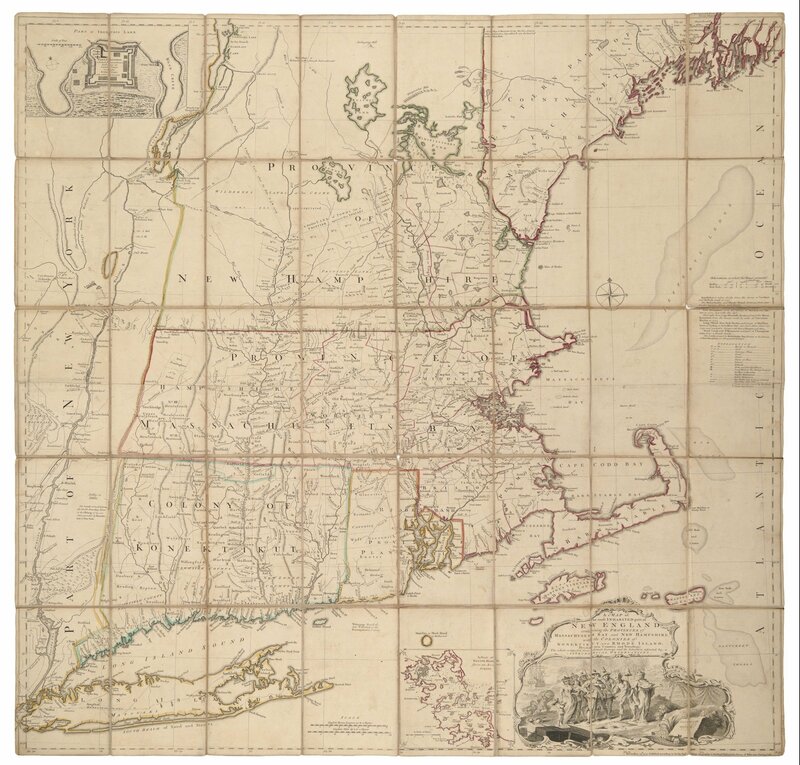 The Map of the Most Inhabited Part of New England was the largest-scale and most detailed and accurate portrait of New England to date and made a powerful statement of British territorial claims at the outset of the French and Indian War. Its importance was such that it was revised and reissued well into the 1790s and for decades served as a primary source for European and American mapmakers and an essential tool for soldiers and statesmen concerned with the region. Read on to learn about this remarkable map.